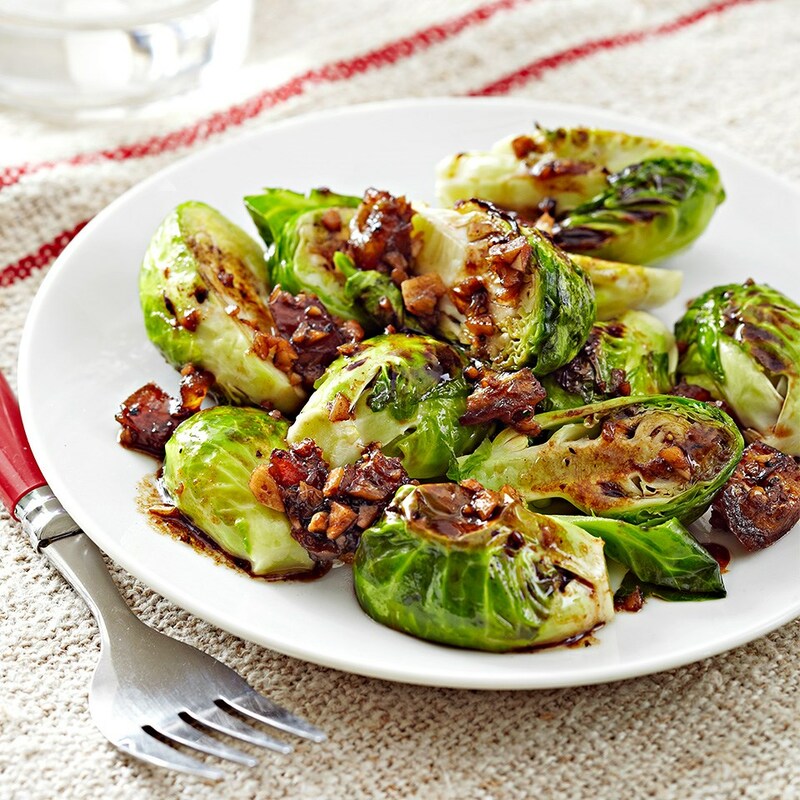 Brussels sprouts are roasted until just tender then simmered with dates in a reduced garlic/balsamic vinegar sauce. Preheat oven to 425°F. 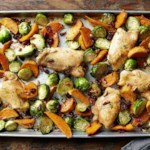 Line a 15x10x1-inch baking pan with foil. 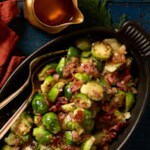 Trim stems and remove any wilted outer leaves from Brussels sprouts; wash. Halve Brussels sprouts; spread in a single layer in prepared baking pan. 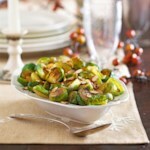 Drizzle oil over Brussels sprouts. 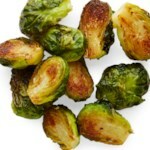 Roast for 20 to 25 minutes or until crisp-tender, stirring once or twice. Meanwhile, for sauce, in a large nonstick skillet melt butter over medium heat. Add garlic; cook for 30 seconds. Add balsamic vinegar, dates, salt, and pepper. 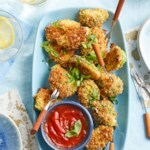 Cook for 5 to 7 minutes or until sauce is thickened and reduced to about ¼ cup. 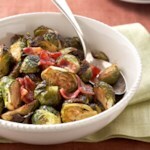 Add roasted Brussels sprouts to the sauce in skillet; stir to coat.